An overcast sky in Paris is not unusual, and it doesn't bother me one bit... except for when it hinders my ability to see for miles after trekking up the stairs of Montmartre. Can you imagine this view were the air not hazy? I know it's amazing because I've seen it before in all of its sunny splendor. Moving right along, this post is a lot fun for many reasons. For one, I am wearing the brightest item of clothing I own: an amazing oversized linen number that is always a trusty fallback piece when needing to spruce up any look. And there is a third reason for why this blog post is like a party: my hat, of course! I was spreading the FOR love all across Paris and looking ultra chic while doing it, if I do say so myself. Loooove the hat babe! I've seen it before of course, but only now did I realise that it has your blog name on it. Pretty sweet :) It gives your outfit a really cool touch! Love the sporty twist in this outfit! Great look! I adore the cap and your hair is so pretty!I've been to Paris in May, love that city! Those doors are the coolest! I love your blazer and striped skirt. What a stunning view! You make me really want to go to Paris! I love your outfit by the way! Stunning darling- love the pics!! love the red blazer!! so pretty!! Gorgeous! 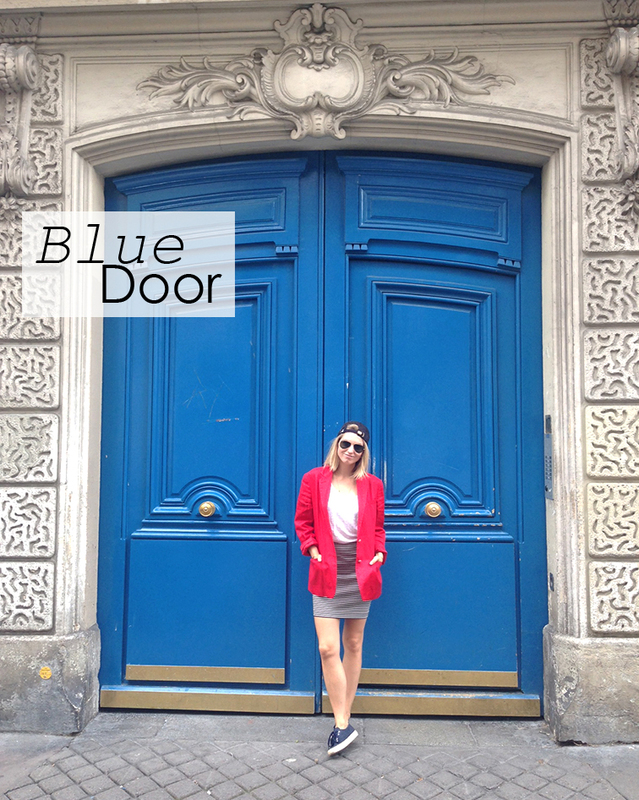 Love your parisian style! Okay...seriously jealous of your location right now. Haha, great red blazer, and love how you added it to a sporty outfit. Great mix! Cool pics, all very parisian ! Your jacket and cap are amazing, very effortless chic !